Kirkstall Forge is just 6 minutes from Leeds city centre and 17 minutes from Bradford by mainline train, coupled with new pedestrian and cycle links that connects Kirkstall Forge with the surrounding area and the city centre and will ensure that sustainable and active travel are part and parcel of everyday life. 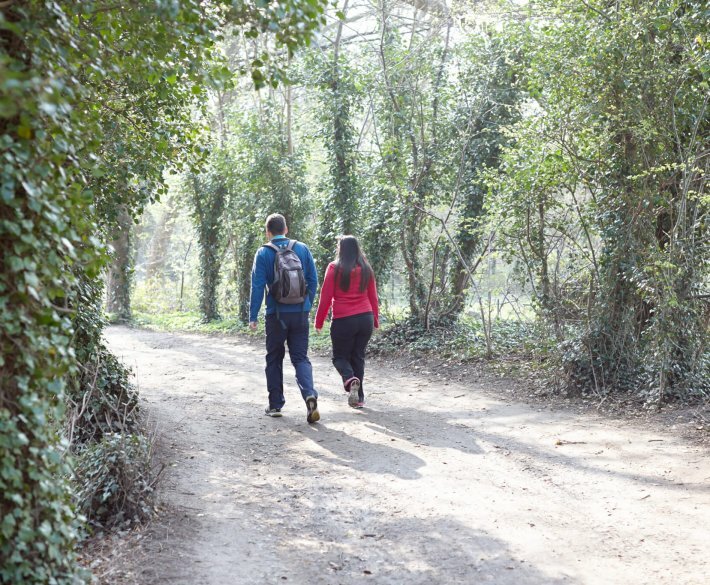 Whether you’re thinking of walking to work or out for a run on your lunch break, Kirkstall Forge benefits from a network of great pedestrian routes on the doorstep of your workplace. In less than 30 minutes you can walk into Horsforth where you’ll find all the facilities you’d expect from a bustling town centre, including a large range of shops, eating and drinking venues, a post office, banks, Morrisons supermarket, pharmacy and dry cleaners. Alternatively, cross the railway line at the station and follow the Canal Towpath towards Leeds. In approximately 25 minutes you’ll reach Kirkstall Bridge shopping park, where there is an M&S Simply Food, Costa Coffee, Pure Gym and a selection of shops. Cross the road and you’ll find Morrisons supermarket, Boots, Dunnes and Matalan. It couldn’t be easier to cycle to work at Kirkstall Forge and there are lots of facilities within cycling distance should you wish to pop out during the day. Within around 10 minutes you can get to Horsforth, Kirkstall Bridge Shopping Park, Kirkstall Valley Retail Park, Morrisons, M&S Simply Food and Cardigan Fields Leisure Complex. Alternatively, you can get into Leeds city centre in around 20 minutes. You can choose to take the on-road route via Abbey Road / Kirkstall Road, or the more scenic route via the canal towpath, which you can access to by crossing the railway line at the station (lifts are provided). Kirkstall Forge benefits from a brand new train station offering direct trains that get you into Leeds in just 6 minutes, or you can be in Bradford in 17 minutes. 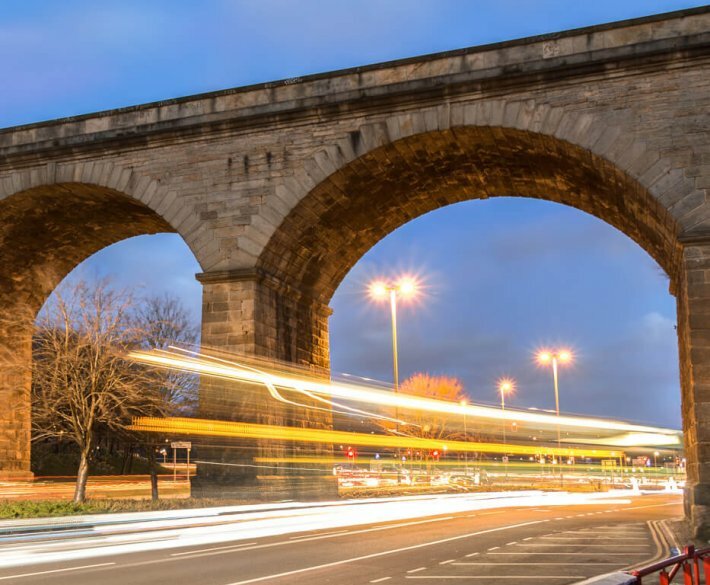 From 20th May 2018 services between Leeds and Bradford Forster Square via Kirkstall Forge, Apperley Bridge, Shipley and Frizinghall will run approximately every half an hour throughout the day. If you’re travelling to Kirkstall Forge on the Airedale Line (Skipton train), you’ll need to change trains at Shipley. If you’re travelling on the Wharfedale Line (Ilkley train), you can change at either Shipley or Leeds. 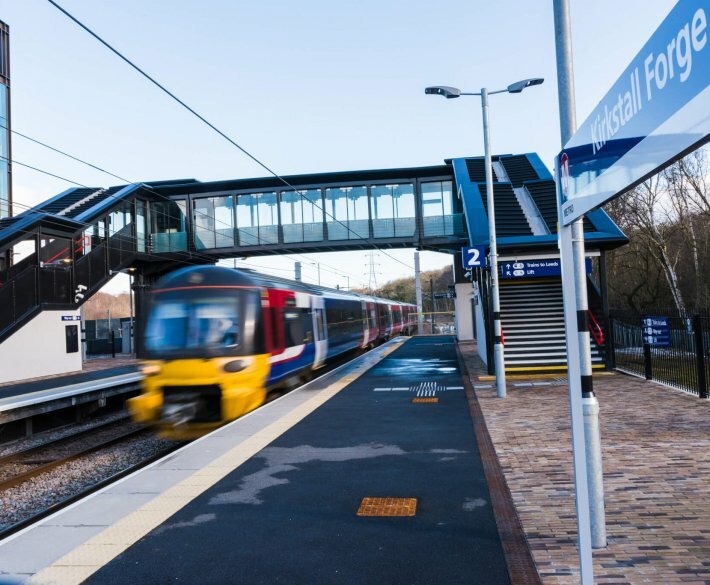 Download our handy guide to see how the changes affect your journey to work here or speak to the Kirkstall Forge Life team for more information. The bus into Leeds from Kirkstall Forge takes less than 20 minutes. The nearest stops are located immediately west of the site entrance on Abbey Road. Service 33 / 33a (operated by First Bus) runs up to every 10 minutes between Leeds bus station, Kirkstall, Horsforth, Rawdon and Guiseley, with less frequent onwards services to Menston and Otley. Service 757 (operated by Yorkshire Tiger) runs up to every 20 minutes between Leeds Bus Station, Leeds Railway Station, Kirkstall, Horsforth, Rawdon and Leeds Bradford Airport. Additional services operate on Leeds & Bradford Road which you can get to via Bramley Fall Park. These include the 508, which operates every 20 minutes between Pudsey and Halifax, via Leeds, Farsley and Kirkstall. There is also the 670, which runs hourly between Bradford Interchange and Leeds via Rodley and Kirkstall and the 760, which runs up to every 30 minutes between Keighley and Leeds, via Bingley, Saltaire, Calverley and Rodley. For some people and some trips the only realistic option is to travel by car. 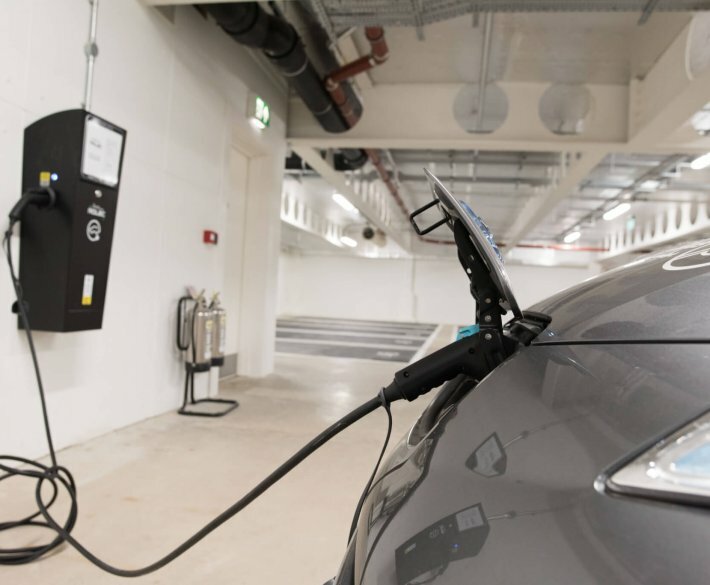 That’s not to say that you can’t still help reduce the number of cars on the road, save money and travel in a more environmentally friendly way. For people working at Kirkstall Forge there are a range of initiatives in place to support car users; whether you want to find someone else at Kirkstall Forge to share your journey to work with (and halve your commuting costs), or to use one of the car club vehicles to travel on business or out at lunchtime. Contact our Life team below for further information.